How Long Will The True Fitness ES700 Last? Though you may need to save up for quite some time in order to afford this elliptical, you can find a little comfort in knowing that you will more than likely won’t purchase another elliptical for quite some time. 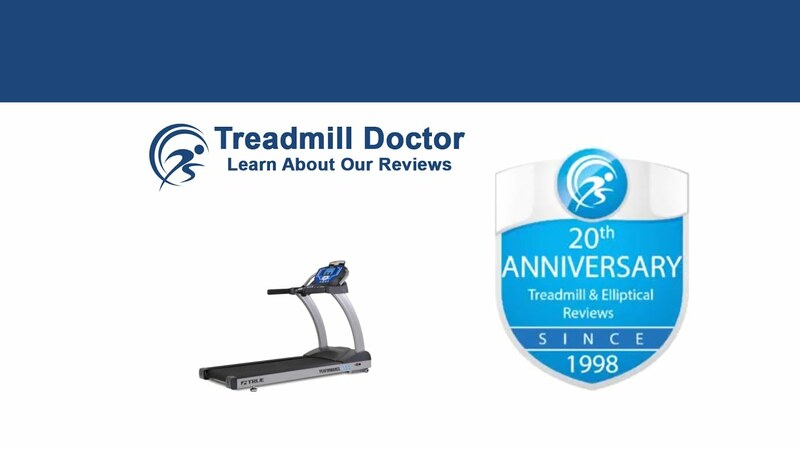 True is one of the leading brands on the market and their ability to design a high-caliber elliptical is exemplified through the ES700. We would recommend the ES700 for a serious user who works out on a daily basis. Hopefully, we do not have to convince you to view your elliptical as an investment. But, for good measure, please be sure to take proper care of your machine. True offers professional home installation and would more than likely be more than happy to help explain how to appropriately take care of your elliptical. If you are going to spend this much on workout equipment, be sure to know how to take care of it in order to get the most out of your money. And finally, we have reached the cream of the crop. Our First Place 2019 Best Buy Award for the $4,000 and Up category goes to True’s ES700. If you can afford an elliptical in this price range, then this model is one of the best. We are pleased with True’s utility-based features, quality build, and reputable company care. True has also found a way to offer a separate, reasonably price console to give customers the option. Therefore, we would recommend the ES700 for serious users who appreciate good quality. First, let’s talk about the few dislikes that we have. To acknowledge the elephant in the room, this elliptical is very expensive and is not an option for many. While we understand the amount of value that comes with the True name, we also like a good deal when we see one. With that said, we also know that the ES700 is not the most expensive elliptical even out of our top four, but still has the high standard of quality that justifies the price. The other aspect of the ES700 that we are not too happy with is the warranty. We compare a lot of models and even awarded some of True’s lower end models. It is a little frustrating to see that True is not willing to give even one more year towards labor or parts in order to pack the ES700 with as much value as possible. Now, please do not misunderstand. The ES700’s warranty is still a very valuable warranty that is backed by a company that has won awards just for its customer service. We do not question the amount of value in this warranty. We are simply saying that it would be nice to see True make a little bit of effort to alleviate the blow that comes from the rather high price tag. Still, in retrospect, these dislikes are pretty minuscule when you look at the amount of value that comes with the ES700. To start, True is well-known for their impeccable quality and they have certainly built the ES700 with this high-quality standard in mind. True has also equipped the ES700 with practical features like a twenty-seven-inch automated adjustable stride and electromagnetic resistance levels. The adjustable stride helps the ES700 accommodate multiple users who may be different heights while the electromagnetic resistance provides a high-quality resistance system that will last-longer and challenge your workout. We also like True’s center drive system that tends to provide a smoother feel that evenly distributes the wear and tear on the elliptical. Lastly, we are pleased to see that True has given the option to choose a web-capable console for a reasonable price. There are users who do not care to have a touchscreen that can connect to the internet. They simply want a machine that is going to outlast Hilary Clinton's presidential dreams despite constant use. Similarly, there are also users who enjoy checking their email, watching videos, and archiving their workout data on other devices while they exercise. For these users, the additional six-hundred-dollar console may very well be worth the money. As it relates to us, we like that adding the extra console does not make the ES700 the most expensive elliptical. True has not only given consumers a choice between consoles, but they have also found a way to make their elliptical with the additional console more affordable than other ellipticals in this price range. High Price, Not Easily Accessible. We have been truly impressed with the ES700’s sleek finish and quality. We have said that the ES700 has an amount of value that blows LifeFitness and Octane out of the water. Additionally, we have commended True for their top of line customer service. We would recommend our 2019 First Place Best Buy Winner in the $4,000 dollar and Up category for a serious, daily user with a bigger budget. While we do not like the fact that True did not update their warranty or the less-affordable price range, we recognize the amount of quality and value that the ES700 has to offer. This model provides utility-based features, affordable console options, and a well-engineered, high-quality build. An elliptical of this caliber is sure to provide a quality workout experience for many, many years.